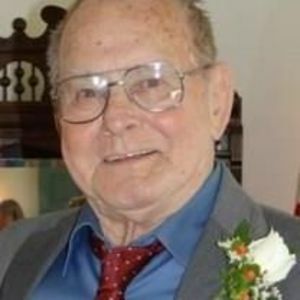 Ernest O. Phillips, 86, of Wilson, passed away Friday. Funeral services will be conducted 4:00 p.m. Monday, August 14, 2017, at Thomas-Yelverton Funeral Home, 2704 Nash St N, Wilson, NC. The Rev. Curtis Campbell will officiate. Interment will follow in Evergreen Memorial Park. The family will receive friends 3:00 – 4:00 p.m., Monday, prior to the service, at Thomas-Yelverton Funeral Home. Ernest retired as a mechanic from the NCDOT and enjoyed many endeavors such as woodworking, photography, billiards and furniture upholstery. He was a loyal friend, provider for his family and go-to-man no matter what was needed. He loved the challenge of repairing anything broken and engaged in any project wholeheartedly and to completion. Surviving are his wife, Violet Webb Phillips; one daughter, Lori Phillips Campbell and husband, Curtis, of Wilmington; one son, Ernest Ray Phillips of Wilson; four grandchildren, Ryan Turner and wife, Jennifer, Matthew Turner and wife, Bess, Nikki Brooks Schell and husband, Andrew, and Genna Brooks; two sisters, Ann Audrey Anderson of Elm City, and Barbara Wainwright of Farmville; two step-sons, Pat Williams and wife, Sue, of New Bern, and Tim Williams and wife, Carolyn, of Wilson; several step-grandchildren; and several step-great-grandchildren. He was preceded in death by his first wife, Lois Baker Phillips; a daughter, Elaine Turner; parents, Golden Ernest and Mahala Daisy Owens Phillips; two sisters, Arlene Baker and Shirley Jefferson; and a step-daughter, Rosanne Harrell.